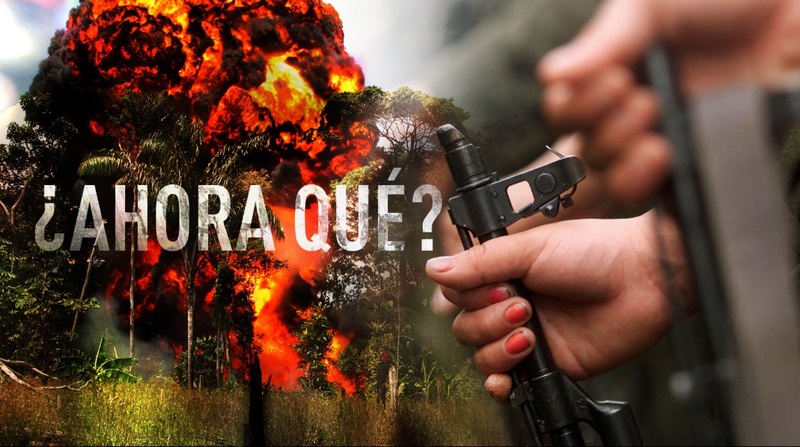 Although the announcement of the signing of the agreement on the end of the armed conflict in Colombia was received with joy; however, for artists and cultural activists from the South American country, the agreement in Havana is just the beginning of a more complex disarmament process: the language of violence. “We have to to disarm our words because they are still loaded with violence. That will take a lot of pedagogy and here culture can help a lot. We need to heal, to seek the truth, to have some kind of repair,” notes Sergio Restrepo, cultural manager and director of Teatro Pablo Tobon of Medellin, in an interview with RT. Restrepo, who heard the announcement while in Brussels, believes that the signing of the agreement is a positive point but that “it will take thick skin” to tackle the next stage, not only because expectations are very high but “because the country is going to polarize more and that will be used, no doubt, for electoral purposes “. In addition to the polarization which is expected in the public sphere, the initialling of the agreement will make visible some realities that remained buried by the conflict, warns Restrepo: Thousands of people must be demobilized and join the civil society. There are deep social inequalities that must be resolved to prevent the resurgence of armed groups. And the state must become present in areas that have historically been marginalized. This process will have to be done in the midst of a difficult economic context for Colombia, which this year has been affected by falling oil prices and coal exports, as well as the depreciation of its currency against the dollar. The challenge, says Restrepo, is to put the country back on the growth path, and the government must ensure that this leads to a more equitable society. “We will not overcome the conflict quickly because there are many conflicting interests and tempers are frayed. Peace cannot be achieved only through negotiation or ceasefire between the government and the FARC; for now, we are in the stage of a post-agreement, not yet post-conflict, “said Restrepo. For Rendon the news found him in the middle of the event that brings in Medellin, the second largest city in Colombia, hundreds of national and international poets: “Not only a new era of reconciliation and resumption of dialogue opens between divergent positions, but this will strengthen our struggle for beauty and for coexistence, “he said in an interview with RT. He confesses that his feelings are mixed. On the one hand, the joy of the expectation that “Colombia can live in peace after a hell of war, and now we can begin a period of prosperity and the cultural flowering of a new generous spirit”. On the other hand, fear of a repeat of our history of failed commitments. “We hope the government understands that the conflict is not only with the guerrillas but between the state and the people. 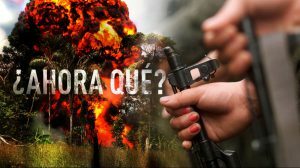 We need a structured dialogue with the deep Colombia jungle, with the countryside, the grassroots, all of Colombian society, before we can be certain of lasting peace, “he says. The director of the Festival of Manizales, Octavio Arbelaez, considers that the agreement is not the last day of the war, but it enables us to see peace as “a possible utopia within our reach”. “It’s the beginning of the end of a period of intensification of contradictions that gave rise to the most violent forms of confrontation,” he told RT. This is the problem, he says, at the core of the conflict: fear in social relationships that “saps the body’s energy and the ability to build a world of conversation and imagination”. While noting that Colombia has made great strides in cooling off social confrontations, as evident in the decline in the number of victims of the conflict in recent years, “violence remains an area about which little is spoken and which in many cases is feared. This is a significant area in which we must work as people of culture “. Culture, he insists, is ideal for generating nodes and “spaces for peace, dialogue and social participation”. There is already some progress in grassroots communities, but there is not yet enough “link between their networks of conversation and action, in a context where there remain levels of exclusion against those with roots going back into the worlds of Africa and the indigenous “says Arbelaez. “Dialogues of the nation without exclusion, that is what we need,” he adds. . . . It is also the entry point where Restrepo dreams of a country that is possible but so far unknown, “one where we live with our differences, where we can build stories from everyday life and where we can close the social gap in Colombia” . “May the spirit of this agreement be transmitted to ordinary people in everyday life, which is the great creator of our destiny. My hope is that this dialogue will permeate all walks of life to start together the struggle for existence, for beauty, for love, for life, “said Rendón. .